Dr. Richard J. Alberta is a retired Pastor in the Evangelical Presbyterian Church. He most recently served for 26 years as the Senior Pastor at the Cornerstone Presbyterian Church in Brighton, Michigan. Prior to that, he served as Chairman of the Pastoral Care Department at the Ward Presbyterian Church in Northville, Michigan. 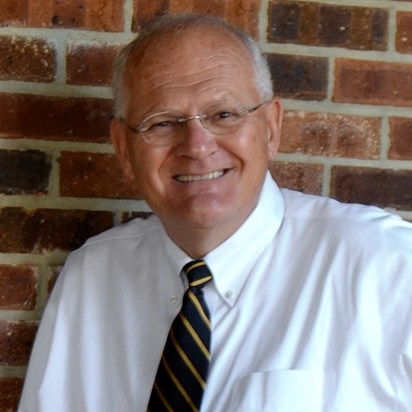 Dr. Alberta was also an Associate Pastor at the Goodwill Presbyterian Church in Montgomery, N.Y. His forty years of ministry experience included leadership in missions as well as speaking and writing for the pro life movement. He was born and raised in New Jersey, where he received his undergraduate degree in pre-law from Rutgers University. Married in 1969 to his high school and college sweetheart, Donna, he began a career in banking and finance. A former atheist with an unsatisfied yearning for purpose and meaning in life, his soul-search for peace and significance brought him face to face with Jesus Christ and the claims of Christianity. He received Jesus as Savior and Lord of his life in 1977. While considering law school, Richard’s heart and mind were re-directed by God’s Holy Spirit to the Gospel ministry. He eagerly responded by entering Gordon-Conwell Theological Seminary in South Hamilton, Massachusetts, where he earned his Master of Divinity degree in 1982. He later completed his Doctor of Ministry degree in marriage and family counseling in 1989 at Eastern Baptist Theological Seminary in Philadelphia. Dr. Alberta is pleased to interact with any questions or concerns raised relative to articles posted on this blogsite. In addition, readers are invited to write with inquiries about the Christian faith or seeking pastoral guidance in spiritual/theological areas. Pastor Alberta has not only been a spiritual guidepost for Cornerstone EPC but also for the community. He adheres strictly to the scriptures and as such he is a champion for the unborn. He makes no bones about scriptural disgust and rejection of gay and lesbian lifestyles while at the same time loveing those and encouraging them to turn away from those life styles. Pastor Alberta is a Calvinist and as such nothing you do can win your salvation. It it by Faith alone and the Grace of Jesus Christ our Savior. Hello Dr. Alberta I am a regular attendee at CEPC and have joined you mainly for your unwavering stand against abortion – which I think is THE defining sin-issue of our day. For some time now, I have been inviting friends to come visit when you preach. Even yesterday, I had a young friend in from Brazil, one from N. Carolina, and a local Nazarene – all ranging in age from 24 to 70, 5 in total. I want to address an issue which bothers us greatly: we CAN’T hear you, Sir ! I notice a lack of speakers and an inefficient sound system that makes it very difficult to follow any speaker at the podium. You are blessed with a speaking style that leaves the listener hanging on every word, but we simply miss too many words. At lunch after service yesterday, our visitors reported missing from 10-30 % of what you spoke. In the past few years, almost every visitor I have brought into the Worship Service has also noted two things. 1) we regret the hour is over, so engrossed are we in the lesson. 2) unless we are sitting in the first few rows, we continue to miss large portions of your sermons and teachings. I feel the front rows are to be reserved for the elderly and long-term congregants – those who helped build this marvelous Church. So we sit in the back, or balcony. A few visitors have suggested that the Church also have large viewing screens so we in the back might better follow you. (please – don’t get vain – here: you are only so-so handsome). While I realize that screens might be a bit over-the-top, I would strongly suggest that a review of the poor acoustics be made, and some action taken so that we can hear every word spoken. I have served on church and other boards, and I dread getting letters like this. From a budget standpoint, some might find this an unnecessary expenditure – so, I would be willing to contribute a bit more than my “fair-share” if the Elders were to consider improving the sound system. Let he that cast the first stone “pony-up” the first check, as it were. I look forward to seeing you at the Right to Life dinner this fall. Your brave leadership in that ugly fight has helped me join that struggle for the balance of my life.